Blurring your face in photos might be reversible. Bloody machines. Photo by ScottNorrisPhoto on Flickr. »The bottom line, as I wrote half a decade ago, is that if your website is full of assholes, it’s your fault. Same goes for your apps. We are accountable for the communities we create, and if we want to take credit for the magical moments that happen when people connect with each other online, then we have to take responsibility for the negative experiences that we enable. That “worst things that we permit to happen” is where Twitter is struggling to bring things back to where it wants to be. »Looking into Fuchsia’s code points gives us a few clues. For example, the OS is built on Magenta, a “medium-sized microkernel” that is itself based on a project called LittleKernel, which is designed to be used in embedded systems (computers that have a specialized function and often don’t need an actual operating system, like the software in a digital watch). Similarly, both of the developers listed on Fuchsia’s GitHub page — Christopher Anderson and Brian Swetland — are experts in embedded systems. Swetland is a senior software engineer at Google and Anderson has previously worked on the company’s Android TV and Nexus Q projects. However, the Magenta kernel can do a lot more than just power a router. Google’s own documentation says the software “targets modern phones and modern personal computers” that use “fast processors” and “non-trivial amounts of RAM.” It notes that Magenta supports a number of advanced features, including user modes and a “capability-based security model.” Further evidence that Fuchsia is intended for more than just Wi-Fi-connected gadgets include the fact that Google already has its own IoT platform (the Android-based Brillo), and the fact that the new OS includes support for graphics rendering. Some users of Hacker News have even suggested that Fuchsia could be use for augmented reality interfaces. The Verge often seems to preen about its web presence, but its editors seem content to have lots of warmed-over takes which add nothing to the original. That’s not sustainable for the writers or editors. 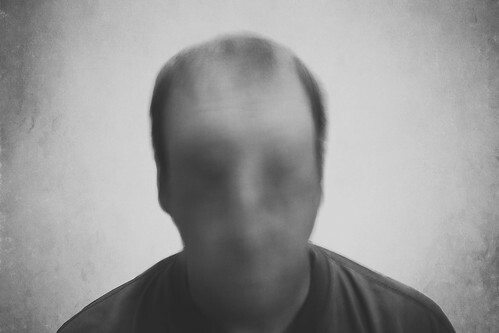 »Scientists have found a way to accurately identify completely obscured faces using recognition systems trained on only a handful of well-lit photos. The work by Seong Joon Oh, Rodrigo Benenson, Mario Fritz, and Bernt Schiele of Max Planck Institute in Saarbrücken, Germany, finds faces can be recognised with up to 91.5% accuracy when the system is fed with just 10 clear images of a target’s face. The Faceless Person Recogniser is up to 69.6% accurate when working from just one image. Accuracy sharply falls when imperfect training images are used. The team introduced black colour into the images dropping performance to 14.7%, still better than random guessing which clocks in at 4.65%. They warn such an accurate system would likely be already in use. “It is very probable that undisclosed systems similar to the ones described here already operate online,” the team says. The paper Faceless Person Recognition; Privacy Implications in Social Media [PDF] finds that obfuscation methods including Gaussian blurring are not enough to prevent obscured photos from being used in facial recognition. »A group of recent studies on technology in education, across a wide range of real-world settings, have come up far short of a ringing endorsement. The studies include research on K-12 schools and higher ed, both blended learning and online, and show results ranging from mixed to negative. A deeper look into these reports gives a sense that, even as computers become ubiquitous in classrooms, there’s a lot we still don’t know — or at least that we’re not doing to make them effective tools for learning. Are we going to have to rethink this whole thing? Though there is a lot of uncertainty around how computers are used in the different countries, and how those fit into the courses. »The Tea Party movement began building in the George W. Bush years. Profligate spending and foreign adventurism with no discernible results nurtured disgust with Washington’s habit of spending beyond its means and sending others to die in its wars. When President Obama made reorganizing the nation’s health care system his foremost priority—and repeatedly misrepresented its effects in the process—anger at Washington exploded. One active solicitor is the Tea Party Leadership Fund, which received $6.7m from 2013 to mid-2015, overwhelmingly from small donors. A typical solicitation from the TPLF read: “Your immediate contribution could be the most important financial investment you will make to help return America to greatness.” But, according to an investigation by POLITICO, 87% of that “investment” went to overhead; only $910,000 of the $6.7m raised was used to support political candidates. If the prospect signs a “petition,” typically a solicitation of his or her personal information is recorded and a new screen immediately appears asking for money. Vendors pass the information around in “list swaps” and “revenue shares” ad infinitum. Sounds like the direct marketing/ad tech business, because essentially that’s what it is – just applied to politics. Trump is essentially the politician raking over the furious ashes of the Tea Party’s animus. »Brain.fm is a freemium auditory program designed to help people either focus, relax or sleep using AI-generated music. It’s [sic – CA] users include students, insomniacs and athletes. Heavily steeped in scientific research, its creators have a history in making niche audio brainwave software for psychologists and researchers and their work includes patents on auditory brainwave stimulation and memory. You get a number of free sessions, and then you have to pay. Would like to know if this really has value; Lawrence’s byline photo doesn’t exactly inspire confidence. You’ll see. »Google parent Alphabet Inc. is rethinking its high-speed internet business after initial rollouts proved more expensive and time consuming than anticipated, a stark contrast to the fanfare that greeted its launch six years ago. Alphabet’s internet provider, Google Fiber, has spent hundreds of millions dollars digging up streets and laying fiber-optic cables in a handful of cities to offer web connections roughly 30 times faster than the U.S. average. Now the company is hoping to use wireless technology to connect homes, rather than cables, in about a dozen new metro areas, including Los Angeles, Chicago and Dallas, according to people familiar with the company’s plans. As a result Alphabet has suspended projects in San Jose in California, and Portland in Oregon. …Alphabet hopes the investment in Google Fiber will eventually pay off with subscriber fees and, indirectly, more clicks on its search ads. Fiber costs $70 a month for the fastest internet connection and an additional $60 a month for TV. Analysts estimate a one-time cost for Alphabet of more than $500 for each home the network reaches, not all of which subscribe. Alphabet declined to disclose its number of subscribers. Based on numbers reported to the U.S. Copyright Office, research firm MoffettNathanson said in March the TV service had 53,000 subscribers total as of December. Based on 53,000 subscribers, that’s revenue of between $11.1m and $20.7m per quarter. Digging up roads really is not such a great business. Setting up wireless internet will be a lot cheaper – but it’s tricky to keep working well: all you need is one big storm and all your carefully placed aerials are out of alignment. With growth coming mainly from replacement users in PRC, vendors employed aggressive marketing in the past few months. OPPO hired a few brand ambassadors to launch its R9 series prompting other vendors to follow suit after seeing their strong success. vivo hired a famous Korean star who’s wildly popular in China as its brand ambassador while Xiaomi hired three different ambassadors for its Redmi line. Recently, Huawei also announced a brand ambassador for its Honor line in China – a departure from its previous marketing message focused on product features. Most of these ambassadors seem to target the younger crowd. While having brand ambassadors is not a new phenomenon in China, vendors seem to be more aggressive with their marketing strategies. This is seen to be a new tactic for vendors such as Xiaomi that never used to spend on advertising. While the Chinese vendors all saw QoQ growth in the market, Apple continued to decline in its shipment volumes. The iPhone SE was not a hit in China, where consumers prefer larger screen-sized phones. In 2016Q2, close to 90% of phones shipped in China had screen sizes that were 5 inches and above. Apple fans are holding out for the new iPhones to be launched in 2016Q3, which could likely give Apple a boost in China. “In the past, Xiaomi started the trend of selling its phones online and other vendors soon followed suit and created their own online brand. After vendors witnessed OPPO’s success with its R9, they also started riding on the trend of hiring celebrity endorsers to represent their brand and appeal more to the young crowd,” says Xiaohan Tay, senior market analyst IDC Asia/Pacific. Despite the market being saturated and driven mainly by replacement users, vendors are still aggressive with their marketing tactics, experimenting with new ways to win over consumers. “Hiring celebrity endorsers may help increase numbers in the short-term, but this alone may not be sufficient to drive numbers in the long run. As there is very little differentiation across products to warrant significant brand loyalty, vendors must constantly think out of the box to get people hyped up about their products,” ends Tay. What’s noticeable in the graph (which requires Flash for you to copy the code with a click 😱)(and might be blocked by WordPress’s security 🙄) is how Xiaomi has tumbled in that year. Not clear how it can regain momentum – and if it doesn’t, what then? »Q: Everyone’s always wanting to know what’s next. The car. The TV. You spoke about artificial intelligence and augmented reality. How do you make sure great ideas surface in such a big organization? TC: Great people surface great ideas. We’re a believer in small teams versus monolithic huge teams. The product teams are horizontal, where people from hardware and software services can all work together. We don’t have divisions. We’ve elected not to do what business school, and I think every other larger company, does: They break down their company into smaller divisions. They give each division a P&L, and each division does their own marketing and communications and operations. We always re-challenge ourselves on this question. But we keep coming back to what the customer wants from us is a user experience that is seamless. They want to start working on whatever they’re working on from their iPhone. And then they want to go to the Mac, and they want it to be absolutely seamless. The only way to assure that is to do things once. That means the top of the company must work together incredibly well. Think about if you were the CEO of a company with a lot of divisions — I’m going to exaggerate a little bit — it would almost be like you’re a holding company CEO. That is the model for most companies. But that’s not what customers want from us. You can’t have a weak link. You can’t have people who don’t get along. It has to be people who have great respect for one another and who work as a team. »Microsoft’s killed off a native Skype client for Windows Phone. WinPho users won’t be alone: Redmond will also discontinue Skype clients on Android 4.02 or lower and iOS 7. Microsoft has already announced that OS X and Linux will lose native clients under its Skype-for-the-cloud strategy. »While support will no longer be available from October 2016, the Skype app on Windows Phone 8 and Windows Phone 8.1 will continue to work (possibly with some limitations) until early 2017, when we finish moving Skype calling to the cloud (see Skype blog). So Microsoft is driving everyone back to browsers for Skype because apps are, what, too much trouble? I thought the hassle with different browsers was part of what drove apps in the first place. More likely that Skype will see less and less use in favour of native client apps.